Last Tuesday, the U.S. House Agricultural Committee submitted a report detailing concerns over “the prevalence of adulterated and fraudulently labeled olive oil imported into the United States and sold to American consumers.” In addition to false marketing claims, mislabeled olive oils may pose “a serious health risk to consumers who are allergic to seed oil,” which is often used as a filler in cheaper olive oils, the report claims. Imported oils account for more than 95 percent of olive oil consumed in the United States, which imports about $1.1 billion worth of olive oil annually. In January, a 60 Minutes report found that up to 80 percent of the extra virgin olive oil sold in American supermarkets may be diluted with substandard olive oils—or may even be a different cheap oil altogether that’s been scented and colored. Following in the steps of Italian lawmakers who recently stepped up efforts to combat olive oil fraud within the country, the U.S. is giving the FDA nine months to “ take a sampling of imported olive oil to determine if it is adulterated or misbranded,” report on its findings to Congress, and make recommendations on how to address the problem. The committee suggests that consumers may benefit from some type of labeling system to note relative oil purity and demarcate certain additives. Olive oil production in Spain is now predicted to be 16 per cent higher than what was originally forecast for the 2015-2016 period, something that looks set to help stabilize prices. Experts in the industry were expecting a smaller harvest, and around 1,200,000 tonnes in total production, reports Efeagro.com. However, Spanish olive oil giant, Deoleo is now reporting that production is set to amount to 1,400,000 tonnes. Available information for the 2015-2016 period so far (until February 2016) indicates that already 1,357,000 tonnes have been registered. Average production for the last ten years has been 1,200,000 tonnes, hence the results are thought to be a considerable improvement. This is expected to have a positive impact on the price of olive oil, since lower supplies last year had lead to unstable prices. According to Deoleo, the predicted available product, including the imports and remaining stock from last year, amounts to around 1,700,000 tonnes – plenty to cover the domestic market and increase exports. 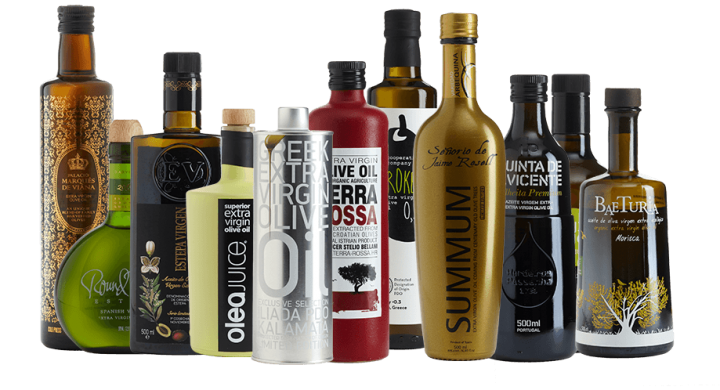 Portugal produced 106,000 tonnes of olive oil in 2015, which is 75 percent more than in 2014 and the highest figure since 1961. Last year’s production was the third highest in the last 100 years and the Casa do Azeite, an association representing producers and olive oil packers, has revised upwards its production forecasts for the next four years. The general secretary of Casa do Azeite, Mariana Matos, told Publico that the initial forecast was to reach 100,000 tonnes in 2020, but the good results achieved in the last season have led the group to anticipate production of between 120,000 and 130,000 tonnes in the next four years. Difficulties in two of Portugal’s main markets, Brazil and Angola, which together account for 50 per cent of olive oil exports, impacted foreign sales last year. For the first time in recent years, exports dropped 4 per cent in volume. However, they grew 17 per cent in value to €436.5 million due to increased prices. Despite the growth in olive oil production, the country remains in fourth position among the leading European producers, behind Spain, Italy and Greece. The Instituto de la Grasa, belonging to the Spanish National Research Council (CSIC), has managed by a consortium -in which 20 institutions from 15 countries are present- a grant of 606,000 euros from the European Union (EU) for the Oleum project, which will generate innovative, more effective and harmonized analytical solutions to detect and combat the most common and emerging fraud in olive oil also being able to verify its quality. In a statement, the agency has stated that the amount has been granted through the Horizon 2020 call, in relation to the food crisis, fraud in the food chain and food control under fraudulent activities. Twenty consortiums presented to this call which finally chose Oleum project, whose total budget is 5 million euros. In this consortium participate numerous chemical experts that make up the expert groups of the regulatory olive oil institutions, such as the European Union (EU) and the International Olive Council (IOC). Also, a total of eight of these experts participate in the consortium. The competition, organized for the first time in 2016 by Masters of Olive Oil, seeks to promote the knowledge and use olive oil extra virgin correct, healthy and positive way, spreading its culture and informing consumers about their benefits Health. 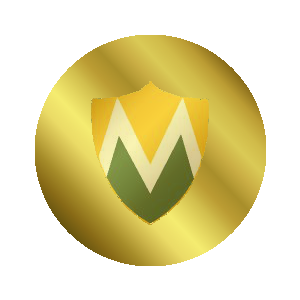 It also aims to contribute to the dissemination of extra virgin olive oil and promote its use in international markets; transmitting the nutritional benefits of this food as a fundamental component of the Mediterranean Diet; promoting the winning companies in particular (and all producers who have managed to produce excellent EVOOs in general) among consumers, distributors, importers and retail chains in international markets; and encourage consumption. EVOOs from Spain, Italy, France, Greece and Israel have been awarded in these categories: Low Fruity Olive Oils, Medium Fruity Olive Oils, High Fruity Olive Oils, Monovarietal Olive Oil, Blend Olive Oil, Organic Olive Oil and Ligurian Olive Oils. The organizers of the EVOOLEUM Awards International Competition, has announced the EVOO TOP100 which is to say the 100 extra virgin olive oils that have obtained the highest score among the 300 samples submitted to a contest that was born with the aim to recognize the quality of the best EVOOs worldwide, and that once developed the selection process, can claim that the goal has been amply fulfilled, relying on the most rigorous methodology and a spectacular international jury which has formed its Tasting Panel. After the relevant reception, organoleptic assessment and verification of samples submitted, amongst the 100 EVOOs with highest scores in the competition highlights the overwhelming Spanish dominion, with 74 juices mainly from Andalusia -authentic heart of world production with Jaén and Córdoba to the head-, but also from Extremadura, Castilla-La Mancha, Catalonia, Valencia, Aragón, Mallorca and Navarre; as well as Portugal (12) and Italy (11) completing the podium. The winners of the New York International Olive Oil Competition were announced at a New York press conference broadcast live on April 14, 2016. Over 200 media and food industry professionals attended the sold-out press event, which included a tasting of many of the winning oils. More than 820 brands from 26 countries participated in the competition, making it by far the largest of its kind. Italy took home the most awards with 109, followed by Spain with 78. United States won 50 awards. 17 olive oil brands were awarded the Best in Class distinction. Curtis Cord, president of the New York International Olive Oil Competition (NYIOOC), announced the best olive oils in the world for 2016 at a press conference packed with over 200 olive oil producers retailers, distributors, chefs and journalists from around the world in New York City this evening. The crowded audience was abuzz with anticipation, nerves and excitement. One producer said she was nearly in tears. “My boss told me not to come home unless I win,” she said. Viewers from around the world, who watched the live-streamed broadcast online, joined the New York crowd, waiting for the results. Despite the many challenges, 314 producers took home awards, an overall success rate of 38 percent. Italy won 109 awards, overtaking last year’s top winner, Spain, who racked up 78 wins, a strong second. The United States came in third place with 50. Deoleo SA, the maker of Bertolli olive oil, told lenders that earnings will rebound this year, delaying the need for new capital, according to two people familiar with the matter. Earnings before interest, tax, depreciation and amortization is forecast to rise to about 60 million euros ($68 million) this year from 35.6 million euros in 2015, parent CVC Capital Partners said at a meeting on Thursday, according to the people, who asked not to be identified because the event was private. CVC owns slightly more than 50 percent of Madrid-listed Deoleo. The company expects lower costs this year because better harvests have slashed prices for olive oil in Spain and Italy. Prices surged to the highest in at least five years in 2015, according to data compiled by Bloomberg, as bad weather and blight damaged crops. A spokesman for CVC declined to the comment on the earnings forecast. A spokeswoman for Deoleo, employed by Report Comunicacion, also declined to comment. Deoleo raised 600 million euros of loans to fund its acquisition by CVC in 2014. The loans are quoted at about 75 cents on the euro following the meeting, up from about 68 cents on the euro last week, the people said. The company’s shares have fallen more than 45 percent in the past year, cutting its market value to about 260 million euros. Italy’s Senate has approved changes to existing legislation from 2013 that required a minimum expiry date of no more than 18 months after its production for virgin olive oil. The European Commission has put pressure on Italy to eliminate this expiry date, and leave it to producers to take responsibility to define expiration dates themselves. The Italian farmers’ association Coldiretti has warned that the decision to remove the maximum legal shelf life “will serve to promote the disposal of old stocks to the detriment of consumers”. It says that numerous studies have shown that, over time, olive oil loses its polyphenols, antioxidants, and vitamins, which form the basis of the properties that make it a valuable health food. The implementation of the EU guidelines, claims Coldiretti, “amounts to deleting the expiry date, since the bottlers will only set it based on their own commercial interests”, adding that the “risk is that many will take advantage to dispose of the old oil”. The 6,000-Euro prize (about $6,830) went to a research team at Spain’s University of Córdoba,for a study on using a naturally occurring fungus as an organic control for the olive fruit fly, a pest that can cause up to a 40-percent loss in olive production. The researchers found that use of the fungus could decrease the fly’s population density by 50 percent. According to the California State Fair press release, California extra virgin olive oil is one of the state’s fastest-growing agricultural industries. Consumers appear to be starting to turn to local olive oils after huge publicity about olive oil adulterations and cheating in Europe, where producers allegedly added other oils and coloring to feign extra virgins. We do know that olives are Sonoma Valley’s second-largest agricultural crop after grapes. And Sonoma Valley’s own Olive Press just cleaned up on medals at the California State Fair, San Joaquin Valley Olive Oil Competition and at the Los Angeles International Olive Oil Competition. The California State Fair’s just-released Olive Oil Competition awards include a multitude of medals for Fred and Nancy Kline’s Olive Press, including top Best of California Extra Virgin Olive Oil for its Mission line in the Single Variety Delicate category, and Best of Class for extra virgin olive oil, again for Mission. They also received several gold and silver medals for their Manzanillo, Sevillano, Arbosana, Arbequina, Picual, and Italian blend extra virgin olive oils. The Olive Press’s Lemonato, Clementine and lime flavored olive oils gained silver and bronze medals. McEvoy Ranch won gold for its certified organic estate Robust Blend EVOO. If you live in Tuscany, chances are you’ve been called on by friends to help with their olive harvest or you have olive trees yourself. If you’re here for a visit, you are most likely enjoying flavorful Tuscan extra-virgin olive oil where it is grown and pressed. But what about our friends back in the United States? 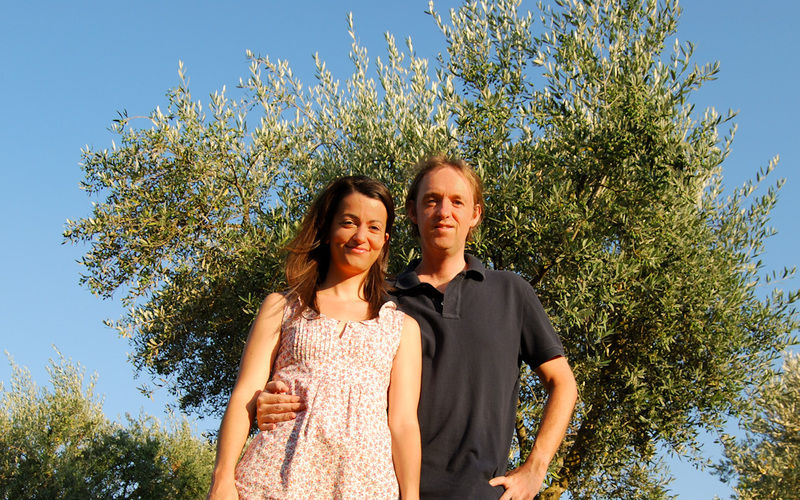 How can they enjoy the true flavors and be sure that they are getting authentic Tuscan oil? We talked to Nicholas Coleman, olive oil buyer for Eataly, about his profession and his passion. The Executive Secretariat has developed a project for rational irrigation management in olive cultivation as part of the IOC’s R & D and environmental programme. Known as IRRIGAOLIVO (CFC-IOC/06), the project has been set up in Morocco and Syria with financing from the Common Fund for Commodities (CFC). Although drought-tolerant, the olive tree gives higher yields when it is irrigated. Water is an important and precious resource. The object of this project is therefore to show olive growers the economic benefits of rational irrigation use. For instance, deficit irrigation where only 70 pc of plant water requirements are covered can give bigger crops and better oil quality while saving a considerable amount of water. By conducting trials and promoting irrigation and orchard management practices, the project seeks to help small farmers to produce more and better and to increase their earnings and so improve their standard of living.